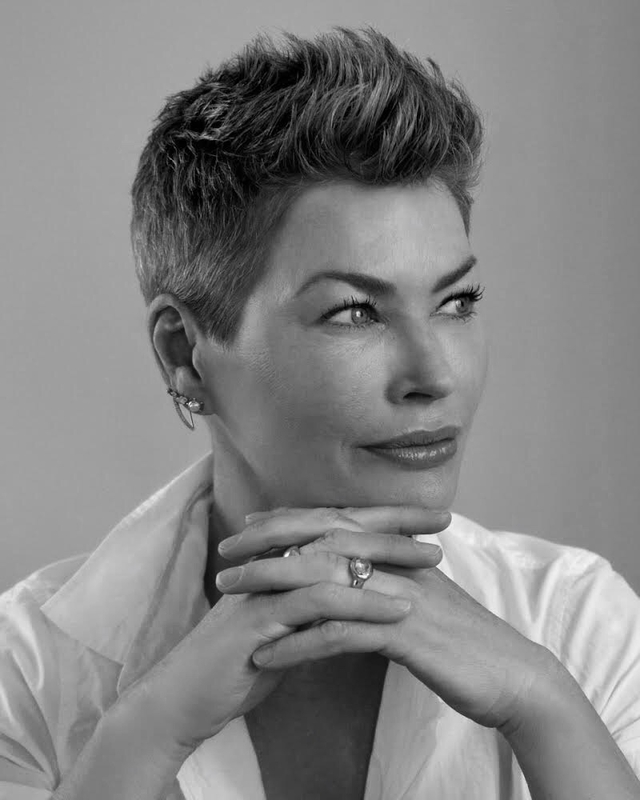 The Blue Lotus Foundation was created by Carré Otis, Megan Cronin-Larson, and Kate Swenson. They come from three diverse backgrounds, and each brings unique offerings to the Blue Lotus program. Carré Otis has long been one of the most recognizable faces in the modeling industry. A native of Northern California, she first achieved fame when she appeared on the cover of Elle (France) in April 1986. Over the next few years, she became an extraordinarily successful supermodel, traveling the world to shoot with renowned photographers and designers. Carré has long been open about her past battle with eating disorders. Graced with years of recovery as a result of intense spiritual and personal work, she is committed to speaking out about the pressures that so often overwhelm young women in and out of the modeling industry. Through the work of her personal memoir, Beauty Disrupted, and her literary contributions to Huffington Post, Mind Body Green, Elephant Journal, Patheos, The Conversation and Vogue Australia, she has provided her unique insight into the business of beauty, and the high price that business demands. She is on the Advisory Board of the Model Alliance, a non-profit industry group working to establish fair labor standards for models in the U.S., as well as a long time Ambassador for the National Eating Disorders Association, and is an advisory board member of Project HEAL. Her strong commitment to helping others reclaim physical and emotional health, develop positive body image, and fulfill and empower themselves in all areas of their lives, is what makes her an inspiring voice for change in the world today. In December of 2013 she gave her first TED Talk in San Francisco where she addressed several themes related to her activism. Carré’s work in the world is proof of her dedication to the service of all beings and Blue Lotus is an organic extension of this mission. She looks forward to supporting others on their personal journey through the many programs BL has to offer. Carré now resides in Boulder, Colorado with her husband, Matthew Sutton, an Environmental Business leader. They have two daughters, Jade and Kaya, four dogs, and two cats. Megan is a compassionate and impactful psychotherapist practicing in Boulder, Colorado. Over the past decade, she has worked with children and families in a variety of mental health settings, consistently guided by her heart and dedication to improving the lives of others. In 2007, while working at an adolescent outpatient treatment center, Megan discovered her gift of helping others recognize their strengths, and uncovered a joy in supporting individuals to manifest a sense of meaning and purpose in their lives. Since that time, Megan has pursued a career in psychotherapy and has worked in areas as diverse as Child Protective Services, elementary school counseling, and outpatient treatment facilities. She completed a Master’s Degree in Social Work in 2010 from the University of Denver, where she specialized in the family clinical track. Megan additionally completed a two-year certificate in Synergetic Play Therapy from the Play Therapy Institute in Boulder, CO.
For ten years, she has pursued work with children of all ages and their families, and has been a beacon of light to many individuals. Megan is passionate about enacting change within family systems, and she believes that through working with children, their family is necessarily effected. Megan’s personal journey prepared her for her therapy work with others, and contributed to her indispensable presence in the creation of The Blue Lotus Foundation. After struggling with an eating disorder in her teenage years, she eventually attended an in-patient treatment center. Of this experience she states, “for the first time I gained awareness and perspective on how I had been living the greater half of my life. I learned to be with myself whole-heartedly and to look into the nature of my mind.” Megan’s relationship to this sense of mindfulness evolved into a rich love of nature and meditation, and she credits her practice of Tibetan Buddhism with much of her personal transformation and healing. She continues to study and explore modalities for healing and cultivating awareness that support the process of personal growth and conscious living. She draws deep inspiration from her involvement with Peruvian Shaman Denzal Santana, along with studying the teachings of Anam Thubthen Rinpoche, her teacher. Megan has been providing psychotherapy services along with parenting coaching at her practice, A Vibrant Mind, LLC in Boulder, CO for almost five years. She believes in the spirit of human potential, and finds purpose in working with others to create an environment for positive transformation, personal development, and healing. Kate Swenson is a young wellness and women’s health warrior. In 2015, she graduated from the Honors College at Oregon State University with a degree in pre-medicine and philosophy. She completed a certificate in Medical Humanities, and for her final two years in this program, she focused on the role of storytelling and the body and combined creative writing and medical inquiry. She has presented at ethics conferences around the country, and lectured to large audiences at Oregon State University. One of her essays, On Schedule, delved into the pressures of women’s bodies to be controlled in American culture, and was published in Columbia University’s journal of narrative medicine in 2013. Kate has walked between the worlds of deep spiritual development and scientific intellect for many years, and is an active force to unite these seemingly separate fields. One of her long-time visions is to bring the importance of spiritual awareness and inquiry into the Western medical field. She sees each individual as a whole biosystem that is designed to work synergistically with their inherent nature. Kate believes that true, life-long health must start with changing the messages we are receiving about our bodies. She is currently completing a certificate in health humanities and ethics, and plans to pursue a Family Nurse Practitioner program upon graduation. She lives with her partner, Shawn, and their pug and kitten in Louisville, CO.